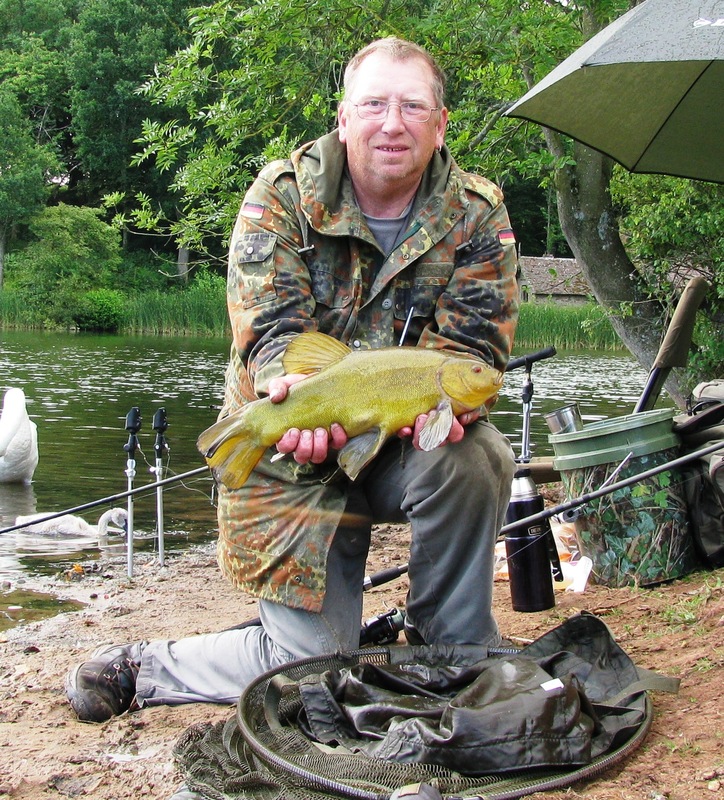 Friday 24th July saw a return to Dudmaston Hall’s Big Pool for the second visit of the week…. Weather forecast for the day wasn’t very good – and turned out to be correct unfortunately – and although it was OK as I left the house a few spots of rain first fell about a mile from the venue but I was fortunate enough to be able to get the brolly up before the heaviest started to fall. I arrived at the car park at around 0615, unpacked the car and headed to the waterside – targeting the same swim as the earlier session of the week. 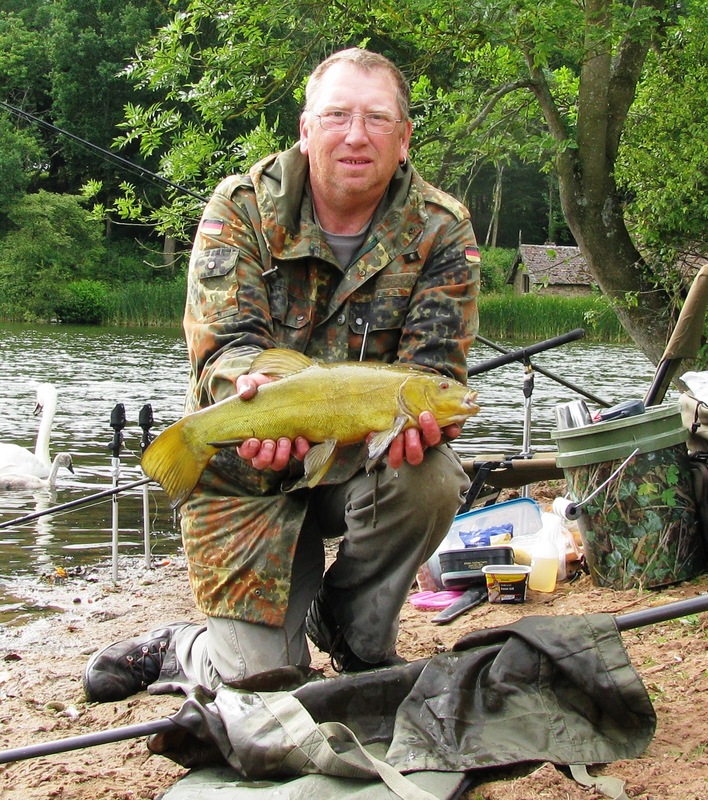 I noted another car on the car park – and spotted the angler on the opposite bank when I got to the water. 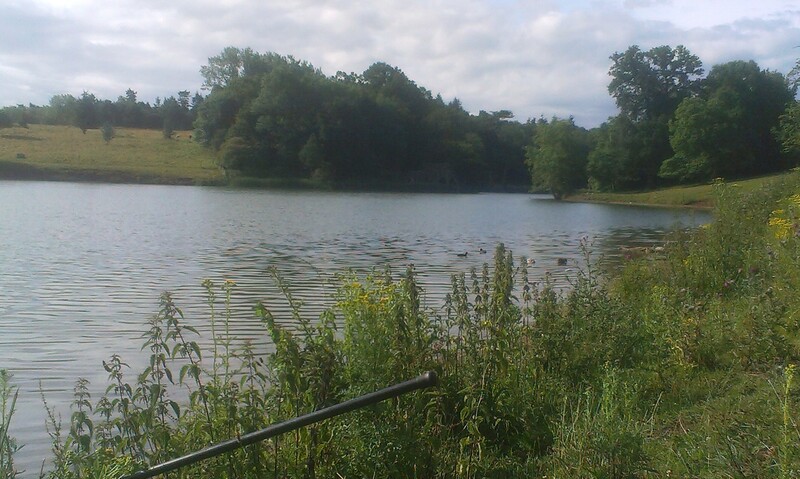 On arrival at the swim at around 0630 the usual swim-baiting was performed and the tackle set up – two ledger rods on alarms, one with a size 12 hook baited with dendrobaena worm and tipped with maggot, the other with a size 6 with bread and hot chilli frankfurter sausage pieces as bait. 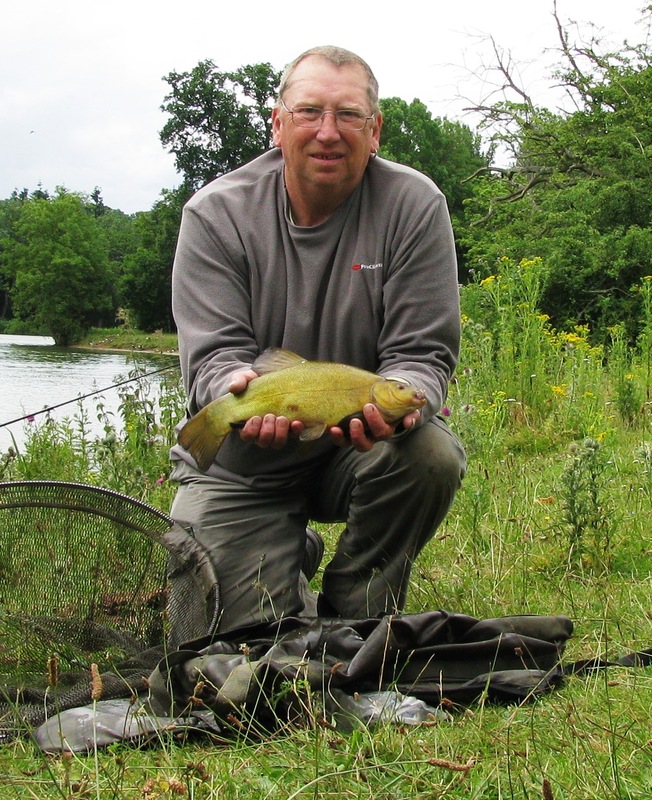 I actually started fishing at around 0715 and very shortly landed the first of three small perch, and during the rest of the session until I packed in at 1300, being very wet and starting to shiver, I had two tench of 3lb 9oz and 3lb 1oz all on the worm rod. 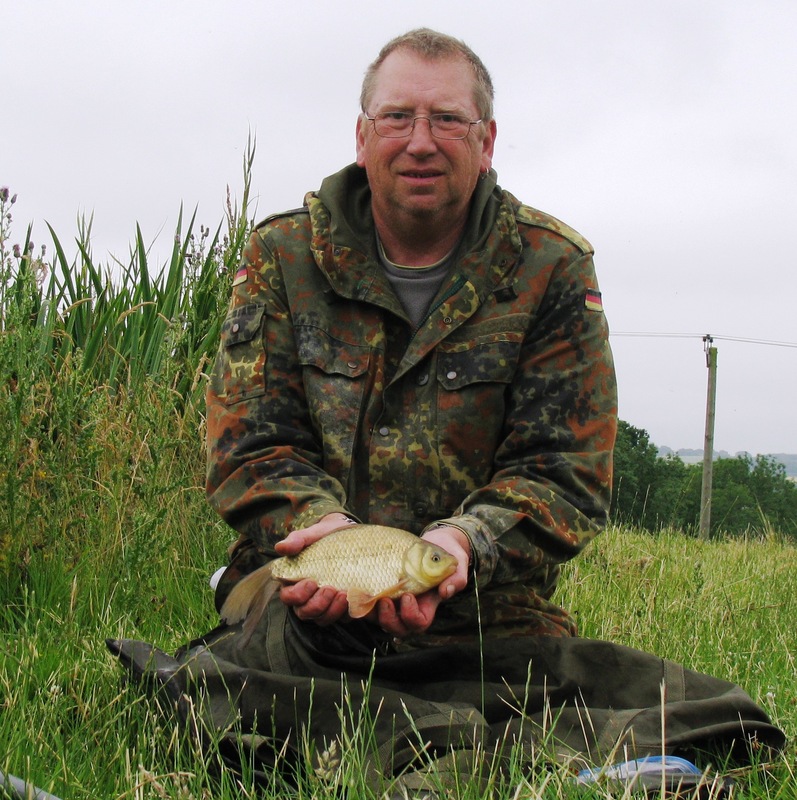 I did have several takes on bread too, one of which was connected with on the strike but I then suffered a hook pull and I also had a small roach foul hooked in the side on the bread rod too. Chili sausage elicited a few nudges but nothing of note…. My baits of the day were the usual dendrobaena worm, maggot and bread – and also for a time I tried cubes of chopped ham with pork (like bacon grill I find this product slightly superior to the generic ‘luncheon meat’ being stiffer and less fatty). As the forecast for the day was wind and some rain I elected to fish two leger rods on alarms and pre-installed my brolly ready for the adverse conditions although at my 0600 arrival it was an absolutely gorgeous morning – however, the forecast did prove correct in that periods of bright blue skies were interspersed with periods of wind and rain. 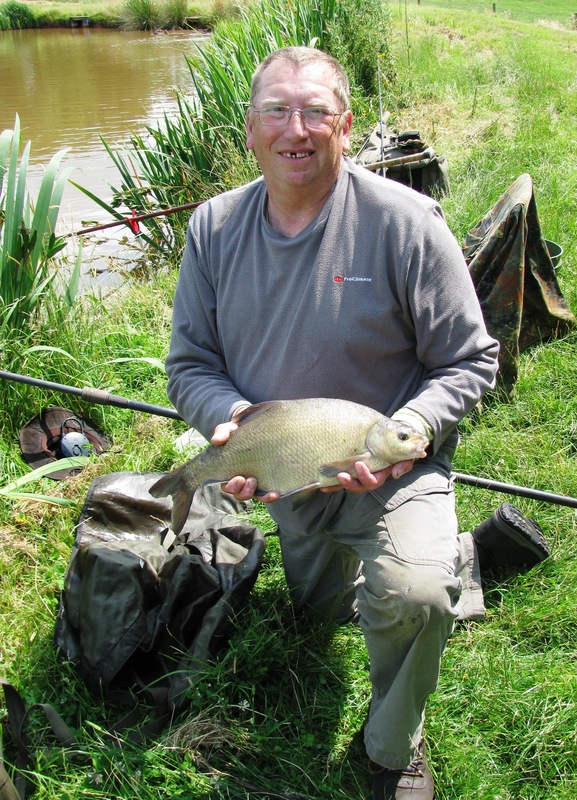 I actually started fishing at around 0730 and was almost immediately having bites and soon landed the first fish of the day – a perch of around 8oz. 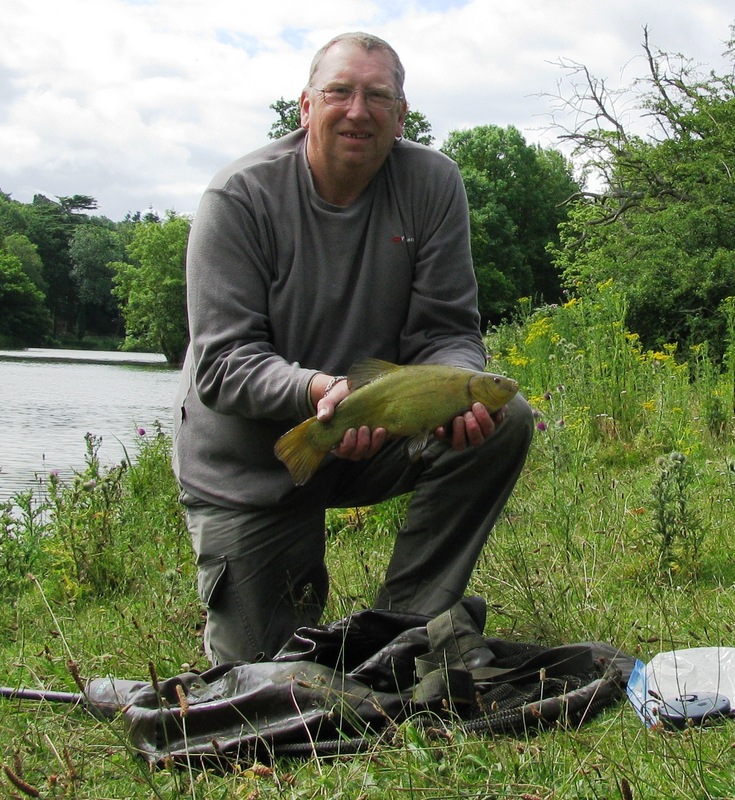 Then over the course of the rest of the day I landed several perch of similar size plus a couple of rudd plus 3 tench…. Listerine is not a deterrent to sand flies or midges. I read somewhere that it was an ace repellent for the critters and so I have some in a spray bottle… but can tell you not to bother. Myself, I’m going back to my normal homemade citronella/cedarwood/camphor oil mix. Two swans and their now sole cygnet, they did have three but down to one now, were in front of me ie 10-12 feet in front, for a good hour and a half as the cygnet decided that the water under my rod tops was a good place to harvest the bottom for food… and the parents, I think, saw me as a threat and started hissing and wing waving and I responded in similar fashion by hissing back, rising to my full height and arm waving back – and so a good old Mexican Standoff ensued for that hour and a half! LOL! So, plans are now that tomorrow (Friday 24th, as I’m writing this on Thursday 23rd) I’m back off to the Big Pool in search of that 4-02+ tench… then next week I’ll be having a Monday outing instead of my usual Tuesday one as on the Tuesday we’ve tickets for Alton Towers.. should be a good day bar the fact that the Smiler’s still shut down :(… so my Monday trip will be one of three venues and undecided on which one at the mo… and similarly next Friday I’ll be out, venue undecided too. Friday 17th July 2015 I returned to Valley View with Liz on a day forecast to be dry albeit windy… the dry bit was slightly wrong in that we did have a few drops of drizzle… but the windy bit was SO true… actually quite a heavy breeze… but we chose our swims accordingly so that a line of bushy conifers lay at our backs between us and the main force. 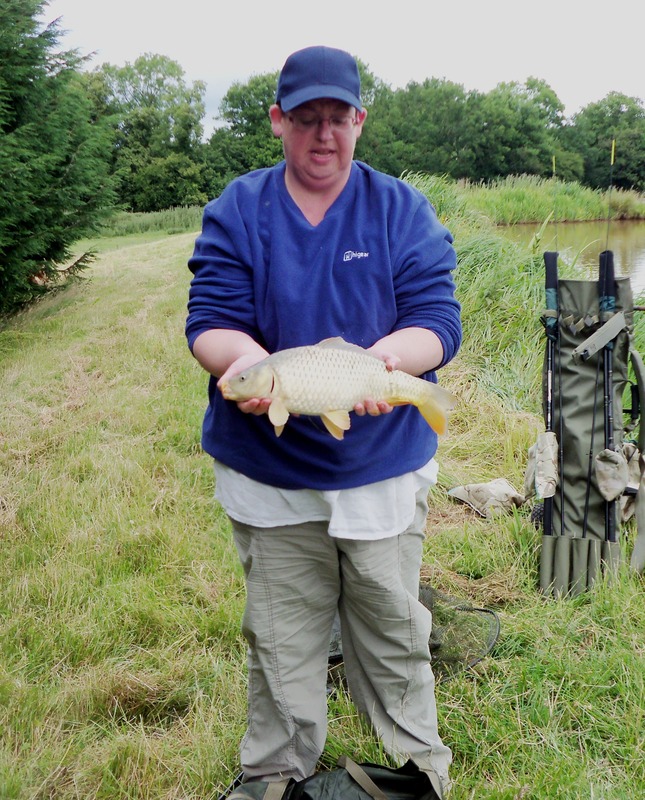 I fished mainly on the float, laying-on/lift method, using worm, sweetcorn and bread, but also had a few short sessions on a floating bread setup. 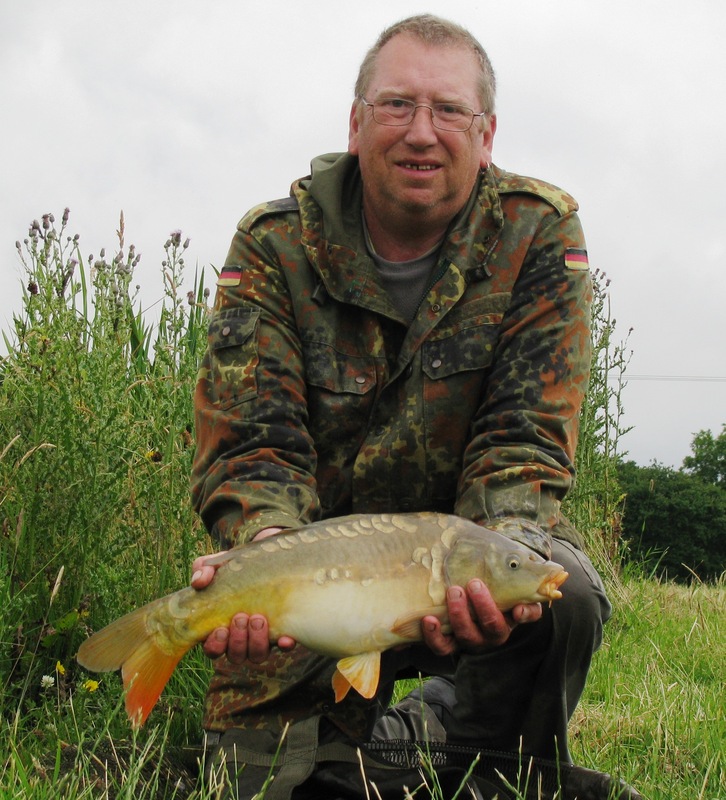 Myself, I had tench of 2lb 8oz (worm) and 2lb 0oz tench (bread), bream of 2lb 0oz and 2lb 11oz (both bread), common carp 2lb 0oz (bread) and a chub of 2lb 9oz (floating bread)… and I too also suffered a hook pull on what would probably have been my day’s best fish which took floating bread… however, after the 2lb carp fought WELL above its weight (we were expecting a good 5-6lb fish at LEAST to come to the net given how long it took to surrender)! 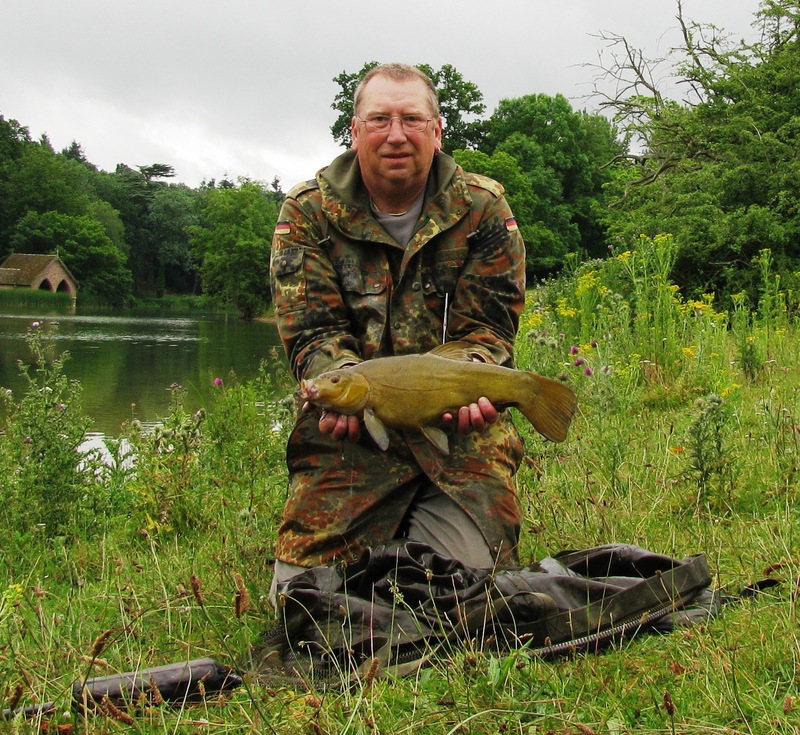 Tuesday 13th July 2015 and I was at yet another new venue for me – Valley View Pool, a Kinver Freeliner’s members only water. 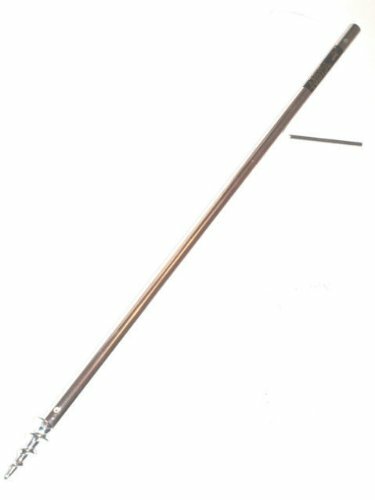 The morning was a sort of misty/drizzly (aka ‘mizzly’) one that necessitated the use of a brolly – and gave me chance to try out my new Dinsmore’s screw-in brolly spike…. First impressions of the pool was how nice looking it was despite the weather – a designer pool really with platforms all around and small promontaries and with three islands in the pool. 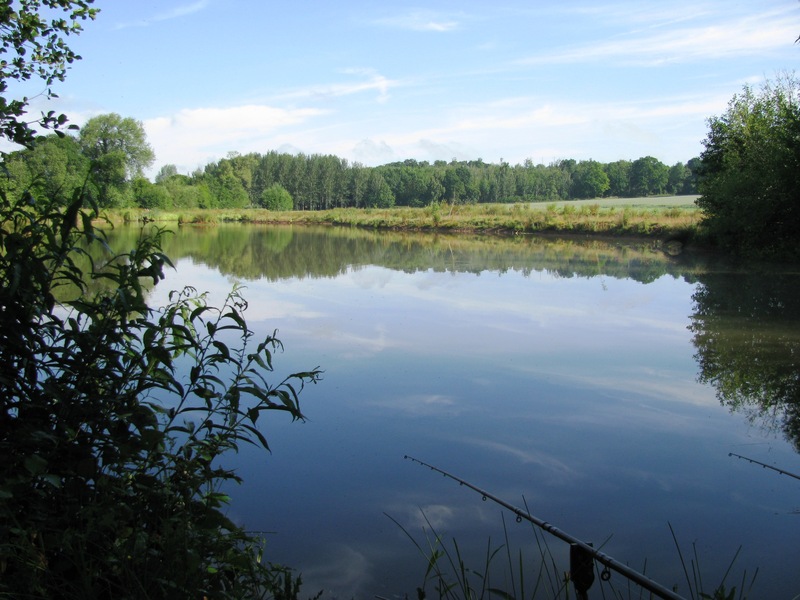 Also it is a stocked pool with many species present – barbel, chub, goldfish, carp, crucian carp, gudgeon, perch, roach, rudd – with fish of good size (chub up to 7lb, perch of 4lb, etc). 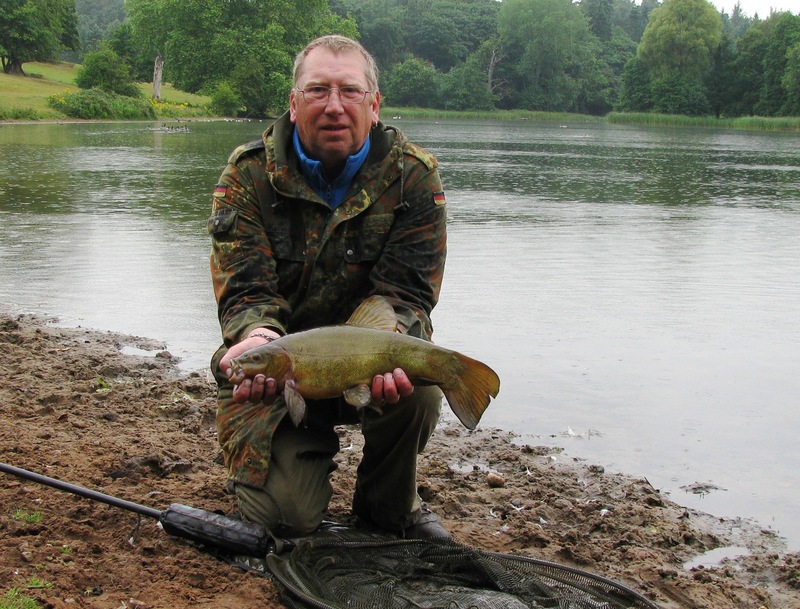 It’s not a large pool and the number of anglers at any one time are limited to six…. 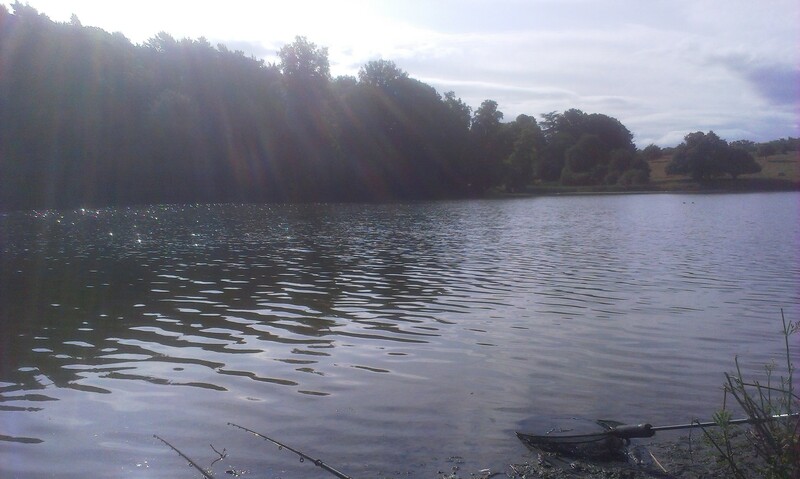 Tuesday 7th July 2015 and I was back at Dudmaston Hall’s Big Pool for a second visit arriving at around 0630…. 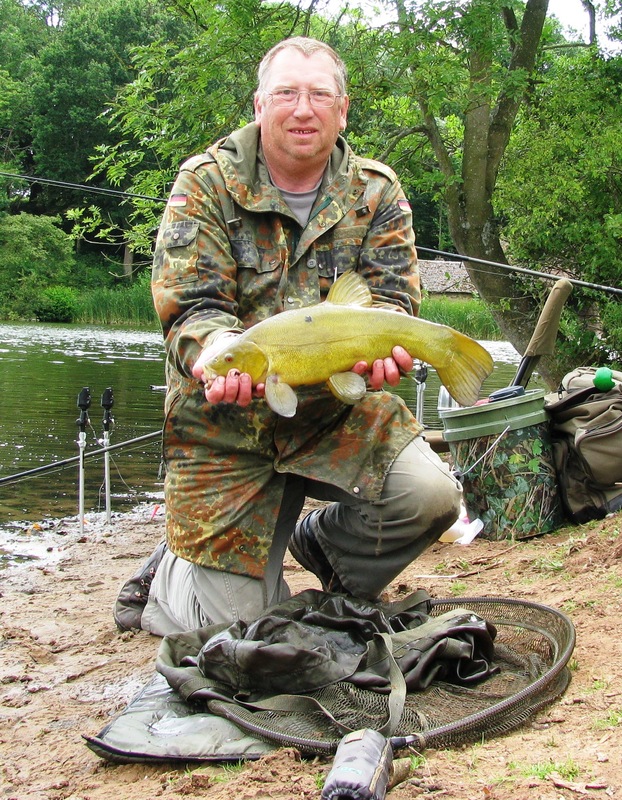 This time with a lightened tackle load – no barrow, no big bags, etc just my Wychwood rucksack, small Puma bag, light chair, 18 litre bucket and my 5-rod quiver with 4 rods…. and the journey from car park to water was far easier plus the return journey that had previously necessitated making the trip in sections taking half my tackle 50 yards and then walking back for the rest and thus working my way slowly back to the car but still risking heart attacks, became a one stop for a couple of minutes type journey. 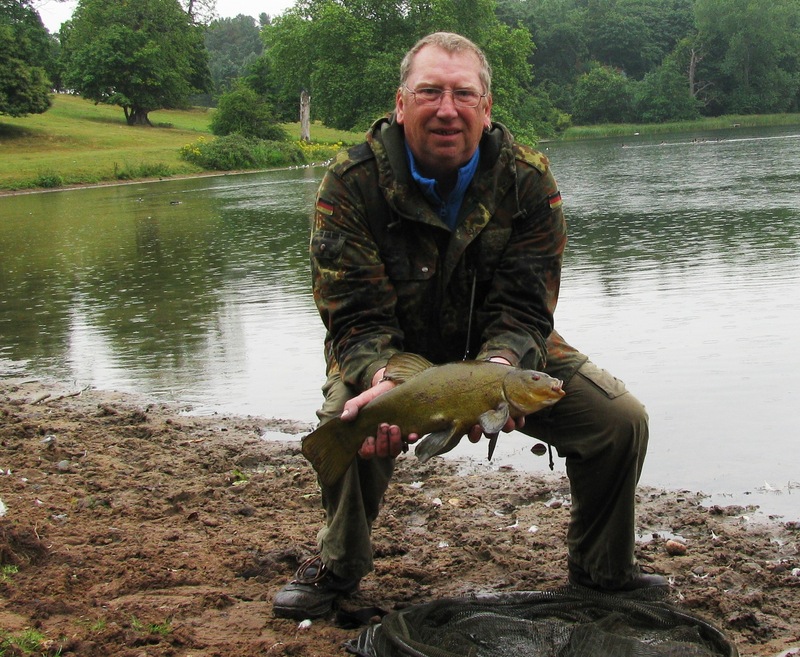 The weather for the day was forecast mixable with rain and sunshine and so I elected to use, rather than my usual laying-on method with the float rod, two rods legered on alarms… 1.75lb TC Avon Barbel rods with 8lb line and size 12 barbless hooks. 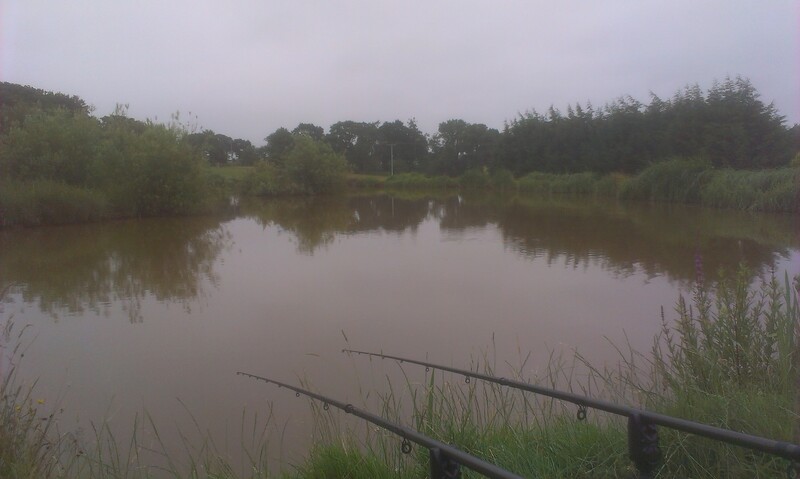 Baits of the day were maggot and worm. Weather, as expected, was mixable and, as usual, when starting to pack up sky was blue and cloudless but halfway through the process, and after putting the brolly away, the skies darkened and the heaviest shower of the day occurred leaving me soaked… and on arrival back at the car it was back to the blue skies…. Friday 3rd July 2015 – and Liz and I headed back to Woodland Lodge (Pool 2 – Member’s Only) arriving a little before 0800 and, as the only souls there – as we were all day long – we got on to our intended pegs with ease. The particular swims were chosen as they are at the more featuresome end of the pool with an island and overhanging vegetation – and it is the oldest part of the pool, the rest of the pool being a relatively recent emlargement that is devoid of bushes, etc and far more open. And also, being a scorchingly hot day, the trees behind us gave us respite from the sun’s direct rays. 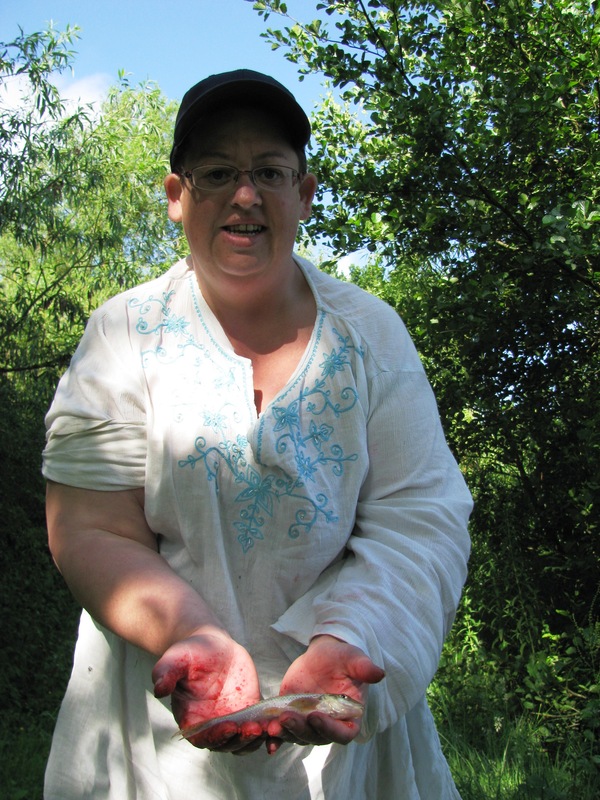 And over the rest of the day Liz also had small perch and an eel – which I taught her to mesmerise for unhooking.. 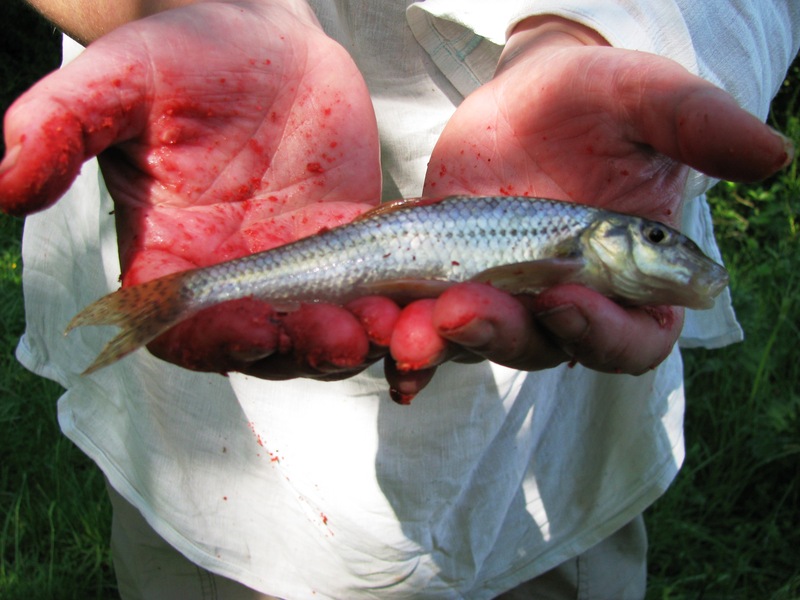 Myself, legering worm and maggot baits, had 3 eels (best 8-10oz), many perch (to about 8-10oz) and a couple of small roach.